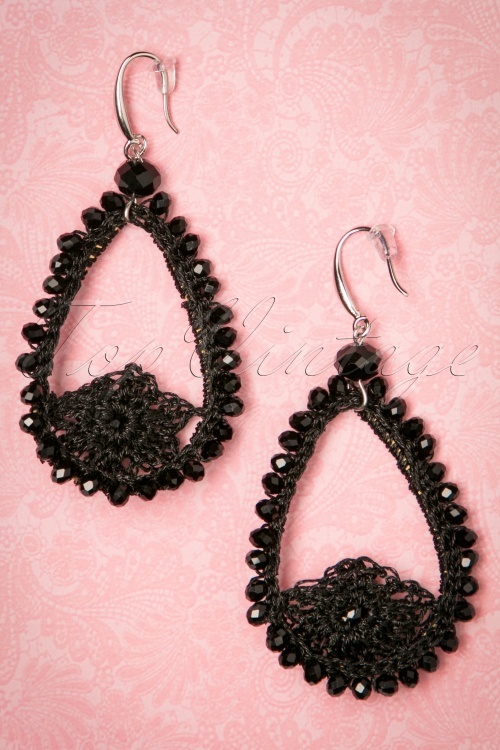 Make a statement with these party proof 20s Amata Glam Earrings in Black! Mysterious with a high amount of glamour... these stunning large drop shaped earrings are all you need to complete your (vintage) party outfit! The hooks are made from silver toned metal while the large pendants come in a shiny black embroidered fabric wire, finished off with shiny black facetted beads that will sparkle with every move you make. Put your hair up, wear your most stunning dress and just feel glamorous!